The Oster Kitchen Center will perform a huge range of food preparation tasks due to the 6 accessories that is supplied with this food processor. Apart from having all these facilities, finding replacement parts if anything should go wrong with this blender/processor is very easy. 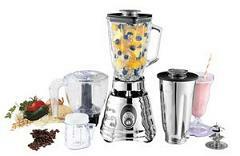 Choose your hand crank food processor from the shortlist of 3 best rated models. 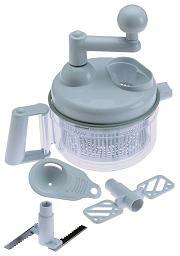 These reviews cover the Chef’n VeggiChop, International Manual Food Chopper and Salsa Maker or the Kitchen King Pro. Read the reviews to help you reach a decision for which model would suit your intended use best. 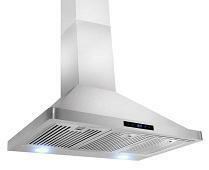 Read the Akdy range hood review to discover the best 30 inch wall mount from the top 6 list. 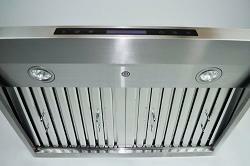 View the comparison table where all these are listed side by side to make a comparison a lot simpler with these kitchen ventilation systems. 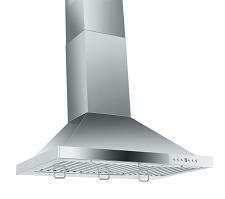 The 30 inch wide Z Line range hood is a stainless steel version and has received a good few positive reviews. This version the ZLKB30 has dishwasher safe filters. 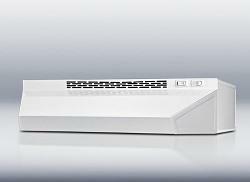 Other features include directional lighting to provide bright work areas and a four speed fan.